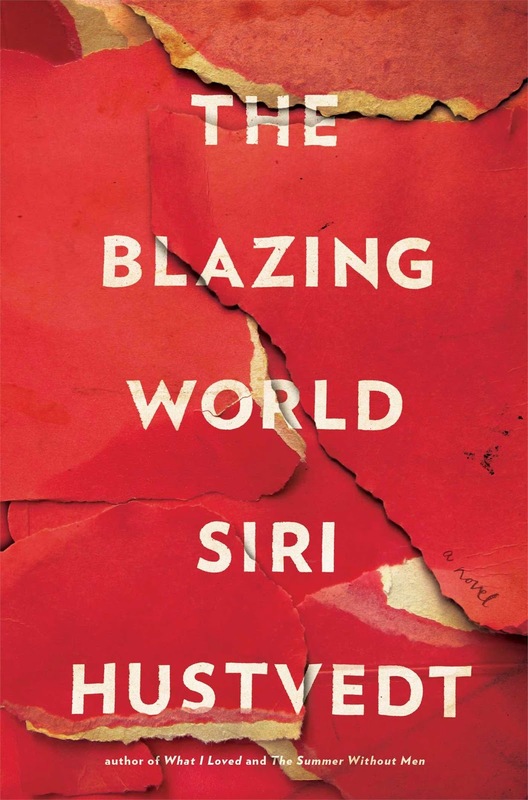 Siri Hustvedt's sixth novel, The Blazing World, is perhaps one of the cleverest fictions that I have read in some time. It utilizes a variety of techniques, from "forged" diaries to fictionalized art exhibits to creator proxies, to create an intricate and yet powerful condemnation of certain socio-sexual biases that the presumed arbiters of elegance possess when they weigh in on the value of a particular performance or art. This description for some might act as a warning label, yet that would deny such readers the pleasure of enjoying a well-designed mystery that engrosses a reader's attention. The Blazing World purportedly centers itself around the posthumous diary of a woman, Harriet "Harry" Burden, who had concealed her artwork, particularly three pieces that gained her acclaim, by having three attractive male stand-ins present her work as theirs. In the litany of diary entries (alphabeticalized journals), interview snippets, and fragments of her descriptions of these pieces, Harriet/Harry leads the readers down a long and winding road of casual sexism and institutional biases that reject the notion that great art can be produced at any age or by anyone. This is stinging commentary, one that goes at the heart of several "culture war" arguments and blasts all sides equally with withering scorn. In relation to discussions of art, it serves as a caustic reminder that yardsticks, no matter how well-intentioned, can limit and distort perceptions of the creative arts. Hustvedt returns to this theme several times over the course of The Blazing World (which I should note here is a reference to a particular piece created centuries ago), each time building upon this central tenet. This creates in turn an opportunity for readers to react against what is being argued, with any possible synthesis being part and parcel of the overall effect of the novel. Hustvedt's prose is nearly impeccable, as her depiction of Burden in all her guises and frames of mind is so vivid that it is easy to imagine the wide spectrum of emotions that she has pored into her writings and pieces. There is also a tangible plot that runs through these disparate sections, one that deals with Burden's battle for acceptance in a society that is loathe to acknowledge her. Hustvedt is very careful with how this plot unfolds, as each diary entry or interview segment gradually builds up this tension between the artist and her world until it eventually explodes in a surprising fashion near the novel's end. While there were a few occasions where perhaps more detail could have been provided at one level and less at another, on the whole, the effect of this use of layered "source material" is impressive. The Blazing World is one of the more finely-crafted novels I've read this year; the fact that it is an engrossing read is such a bonus that it is easy to understand why it was selected for the 2014 Booker Prize longlist. Highly recommended.